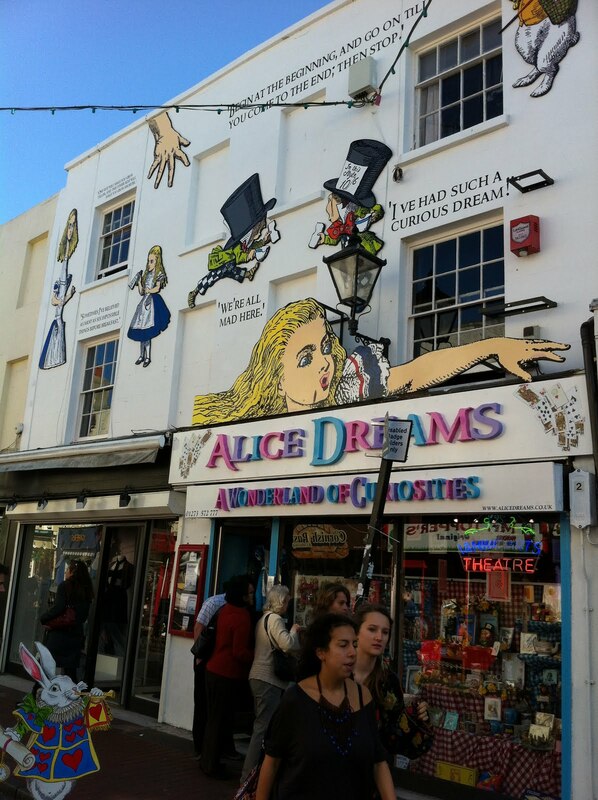 Okay, so I am moving to Brighton, England. In 35 days. On a one-way ticket. Why, you say? Mainly because there aren’t any good reasons not to! I’ve been wanting to move to England for about eight years now, and finally I’m single, with no serious career and no attachments. One of my sisters, Sarah, is already over there and I’m just going to go and join the adventure! I leave at 2.30am on Sunday the 28th April. I have purchased a beautiful leather travel wallet, and I am working on a to-do list and a to-pack list simultaneously! Would you like to see where I’m going? Here’s my pre-arrival tour around my new hometown…. 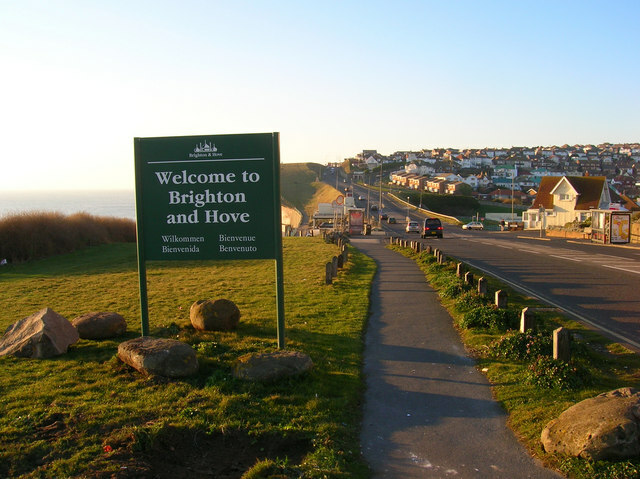 First off, welcome to Brighton! I’ll be your tour guide for today, despite the fact that I’ve never actually been there. 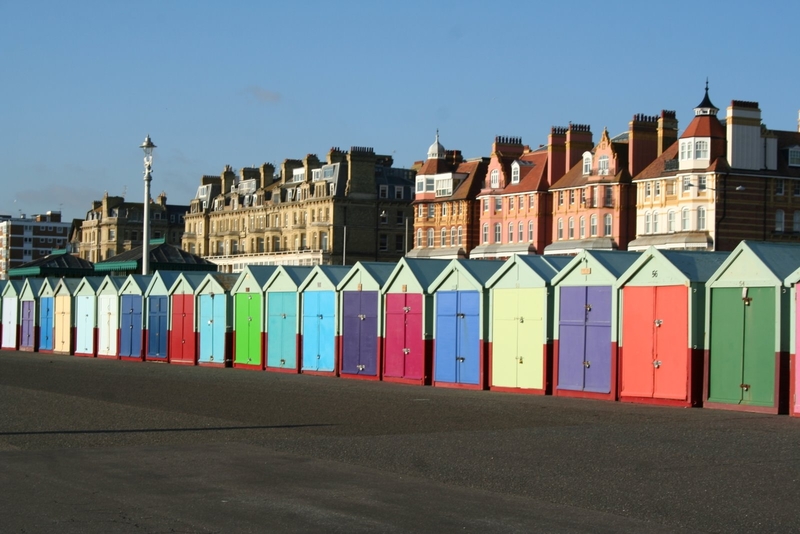 The English version of the ‘Sunshine Coast’, Brighton is known for getting the most hours of sun in England per year. Probably the most famous sight in Brighton is the Brighton Pier. 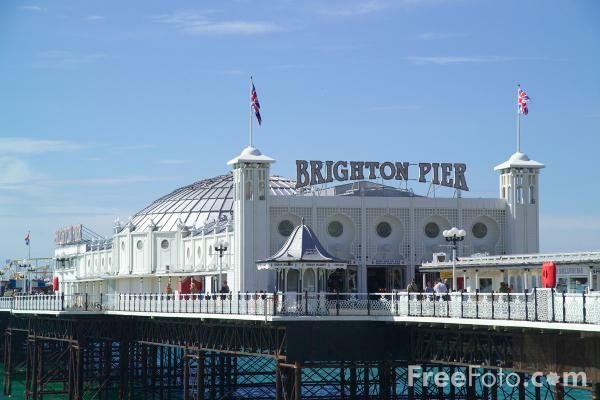 Originally built in 1981, the ‘Brighton Marine Palace and Pier’ (known as the Palace Pier for short) hosts arcades, rides, food, stalls and more! While we’re down on the water, aren’t these beach houses cute? 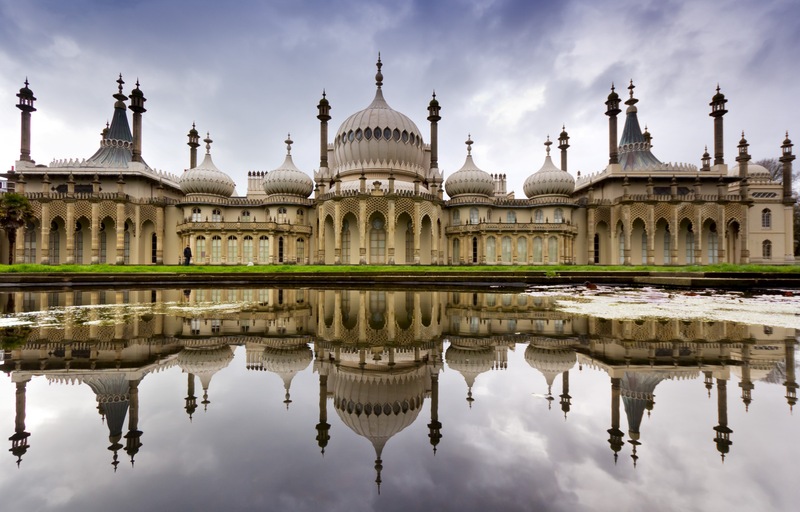 Another beautiful historic building is the Royal Pavilion. Formerly a royal residence, the building and grounds are generally just a beautiful place to walk, sit, picnic, make out, whatever really. Yes, it does look like the Taj Mahal. That’s cos it was built in the ‘Indo-Saracenic’ style in 1781 for George, Prince of Wales. Thanks Wiki! So you want to know the cool places to hang while you’re in Brighton visiting me in the near future? 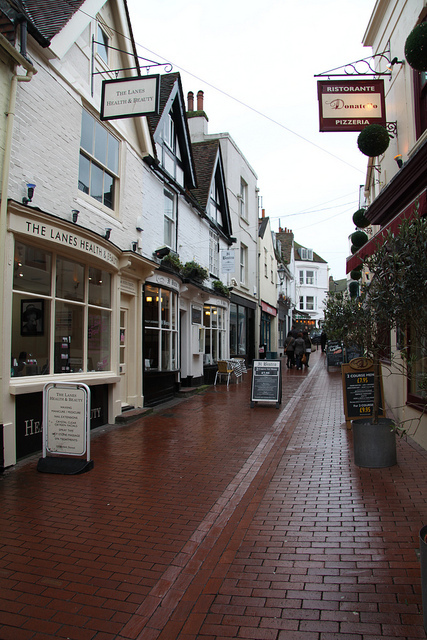 Check out The Lanes, good for antiques and jewellery shopping and some fancy restaurants. Very expensive, very beautiful. 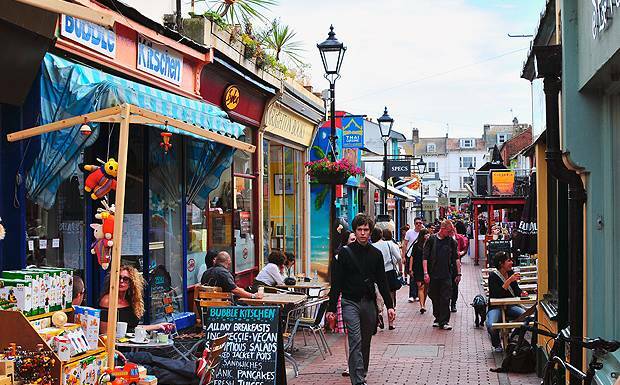 If you’re more alternate, like me, the hippie area North Laine might be more your groove. North Laine deserves two pictures, one for a special shop that I cannot wait to go buy things in! This area is full of vintage clothes shops, some of the best record stores in the UK, and general hippie merriment! Where I will indubitably end up spending most of my savings. 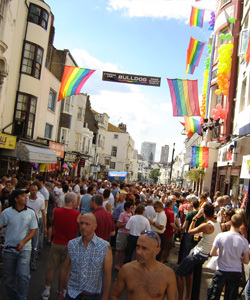 And finally, Brighton is/was home to a few famous people, including but not limited to Cate Blanchett, Paul McCartney, Jordan and Peter Andre, Nick Cave, Rudyard Kipling, Dusty Springfield and Mark Williams (Arthur Weasley from Harry Potter). 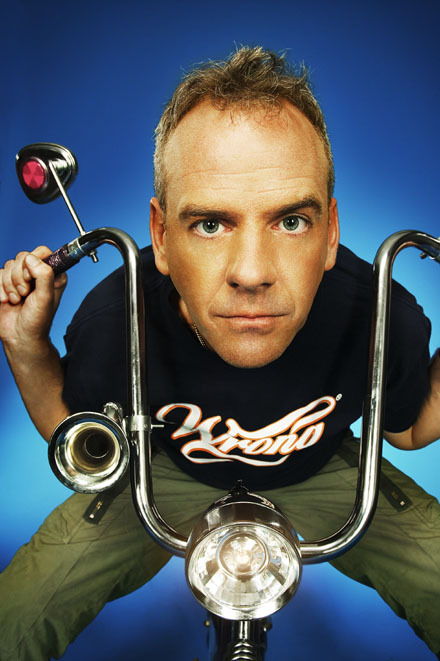 Also, Fatboy Slim lives there sometimes, and owns a Japanese restaurant. Apparently his restaurant is nowhere near as good as his music. So there you go folks, tour ended. I’ll be able to tell you more once I get there, but in the meantime I’m living vicariously through google images. This entry was posted in Decisions, Travel. Bookmark the permalink. Great post! I can’t wait to see what it’s like when you get there. What an adventure! Thanks Steph, I am so excited. Just getting things out the way now like dentists and check-ups, all that sort of thing… And figuring out how much of my jewellery and accessories I can bear to part with! Thanks again for all your help with the blog too, don’t be shy to leave more feedback on how it’s looking! Ah yes, I love travelling ‘just because’! Which is part of the reason we’re travelling now. What will you do for work over there? Looks like a funky place! I have been avidly reading your blog T, I’m thinking that Jerusalem is definitely going to be on my to-visit list from the UK! I’m not sure – I’ll be looking at admin temping, cafe/bar/pub work, I even applied for a position at the Apple store in Brighton on the off-chance! I really am envious. 🙂 My father is from England and I just think it’s in my blood…always had a feeling I was just not born in (or now live in) the “right” country. Maybe one day…. Good for you for following your dreams! I know, I have always felt the same! My mum is from England, and the two times that I have visited London I have felt this incredible sense of connection and belonging that I have not felt anywhere else in the world. 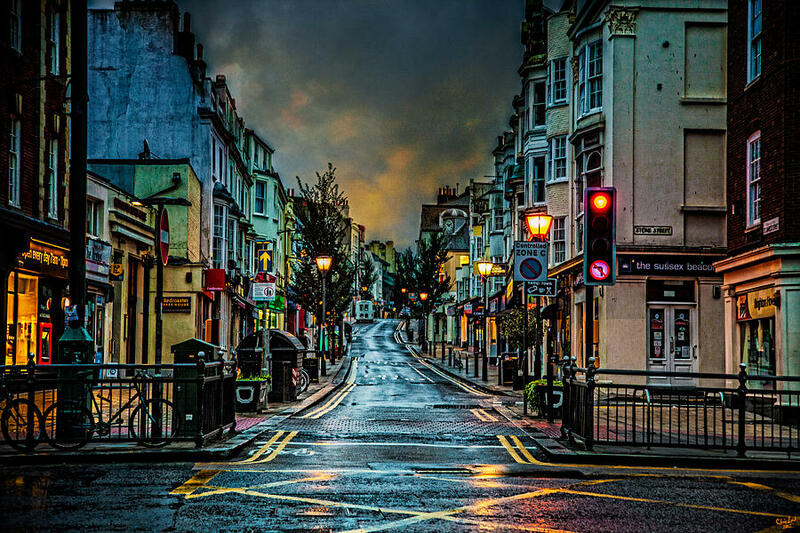 Where abouts in Brighton are you moving too? I live just down the road for it. It’s a great city/town (whatever it is) and lovely when the sun eventually comes out! I’ll most likely be in Brighton Central or Kemptown, haven’t got a place yet though. My sister has a room in Brighton and I’ll be staying with her for a week or two until I find a room somewhere.